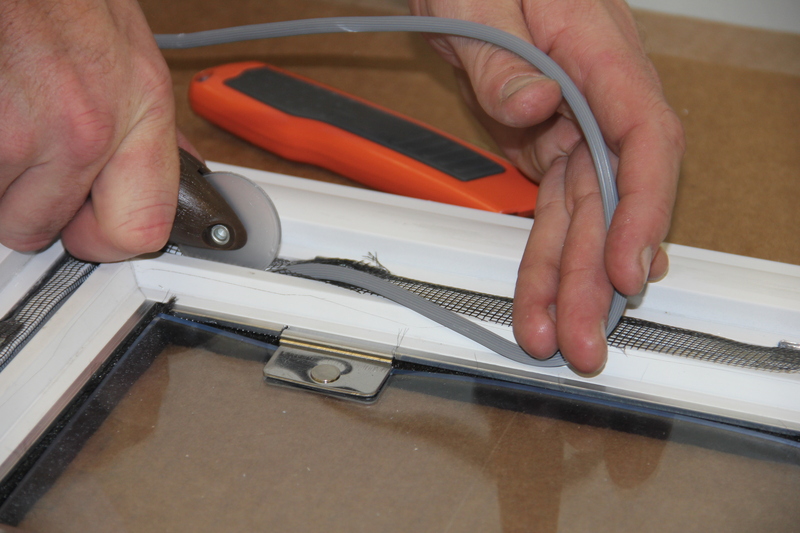 When the Hale Screen Pet Door was first designed, most screen door frames were 1/2 inch thick. As screen door manufacturers changed their designs, we began to modify the screen pet doors by cutting off one leg of the frame to accommodate thicker screen door frames. This modification required more information about where the pet door was to be installed and which side the screen and spline were located. The Hale Universal Screen Pet Door eliminates the need for this extra information. 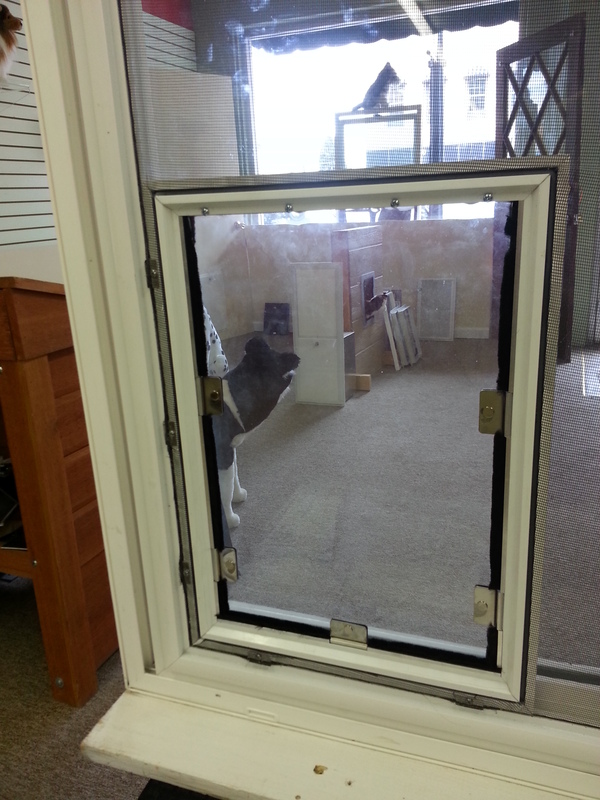 Go to Hale Screen Pet Doors Customize page to see the changes in the choices. The Hale Universal Screen Pet Door uses spline frame on all 4 sides of the pet door – unlike the original screen pet door which used spline frame on the top and screen side and main frame on the bottom and door frame sides. The main frame has a groove which fits over the screen door frame if it’s ½ inch or less thick. If you had a screen door frame that was over ½ inch thick, we would modify the main frame by cutting off one side or ‘leg’ of the main frame. To cut off the correct side, we had to know where the pet door was to be installed – Inside Looking Out on the Left or Right – and where the screen and spline were on the screen door – inside or outside. This has caused much confusion in the ordering process. The Hale Universal Screen Pet Door eliminates all these details because it can be installed without modification in all screen doors. For the bottom and screen door side of the pet door, there are clips that are screwed into the pet door, and the screen and spline hold the pet door to the frame. Because our spline frame is double-sided, the screen and spline can be attached from either side – making the installation easier. Just be sure to click on the Customize button if your screen door frame is over ½ inch thick to get the new Hale Universal Screen Pet Door. The Hale Universal Screen Pet Door is available in our 4 colors: White, Arizona Beige, Dark Bronze and Brushed Aluminum.